Are you tired of bumping your head on dangling light bulbs? Do you despair every time that you trip over yet another box of holiday decorations? If these scenarios sound painfully familiar, it’s time to renovate your garage. Here are just a few tips for getting it done. First things first: Why do you want to renovate your garage in the first place? Do you need a place to tinker with home improvement projects, or are you hoping to build a “man cave” with plasma televisions and sports memorabilia? Your goals can have a big impact on things like designs, prices and materials, so make sure that you have a game plan in mind before you start shopping. Speaking of prices, you’ll want to draft a budget for your new garage. Remodeling can get expensive! Give yourself two limits: one should be the dollar amount that you’re trying not to go over, and the other should be the dollar amount that you’re not allowed to go over. The latter should be your absolute bottom line for not getting into debt with your renovations. 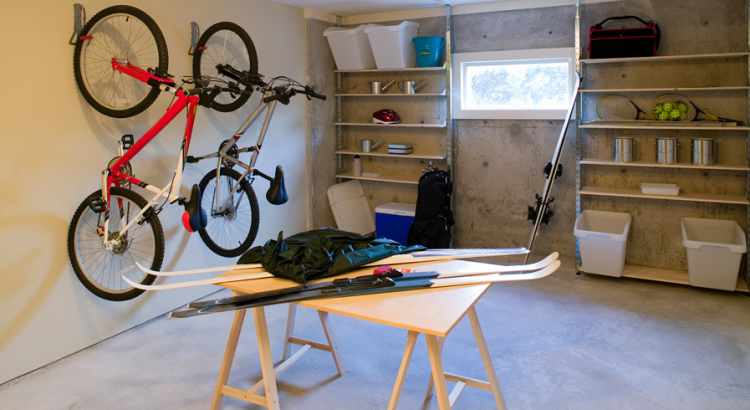 The floor is the foundation of your garage, so don’t cut corners when it’s time to renovate it. Research the different garage flooring types and figure out which one will work best for you. Think about protective finishes and sealants. Compare brands and make sure that you’re only buying from the best. Last, but certainly not least, don’t be afraid to ask your friends and neighbors for help. If your co-worker has a cool garage that you’ve always envied, ask them how they created it! They should be flattered, pleased and full of advice. These are just a few things to keep in mind as you remodel your garage. Whether you’re thinking of small-scale changes or big-time transformations, it’s important that you consider things carefully before you start swinging your hammer. Take your time and plan things with diligence. Build the garage that you’ve always wanted.